It’s not going to be hard to “Feed your Restless” in 2013 thanks to all of the new and exciting products 2013 has to offer! The new scooters are here, the special edition HP4 is available, the 90th anniversary R1200GSA, R1200RT, and R1200R have been unveiled, the F800GT model has been updated, the new water cooled R1200 GS is complete and on its way, the 30th anniversary K1300S was introduced, plus according to BMW Motorrad there is a new bike rumored to be introduced in June 2013! 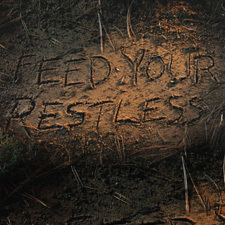 BMW Motorrad rolled out a national television advertising campaign called “Feed Your Restless” on March 1. The creative concept is intended to appeal to the heart and soul of motorcyclists and fuel their restlessness to ride. Each of the 3 commercials feature a specific BMW model segment. The first ad titled “Boots” spotlights the S 1000 RR, K 1300 S, and R 1200 R sportbikes. A group of friends go out for an overnight ride, land at a roadside motel which is the point the commercial begins: the riders are awakened by an alarm clock and all rush to get ready and back on the road. The second ad, “Cowboy Coffee” highlights the BMW R 1200 GS, F 600 GS, and R 1200 GSA enduro bikes on a dual sport ride. There is a mix of on and off-road riding and the commercial ends sitting around a campfire, planning the next day’s adventure. The final ad “Lunch” features the K 1600 GT and GTL touring bikes sitting outside a diner, while inside two couples impatiently wait to get their check so they can get back on the road. All of these ads are available on Bob’s Youtube channel or you can tune into ESPN, ESPN news, Discovery, Velocity, History, or H2 channels to see them.